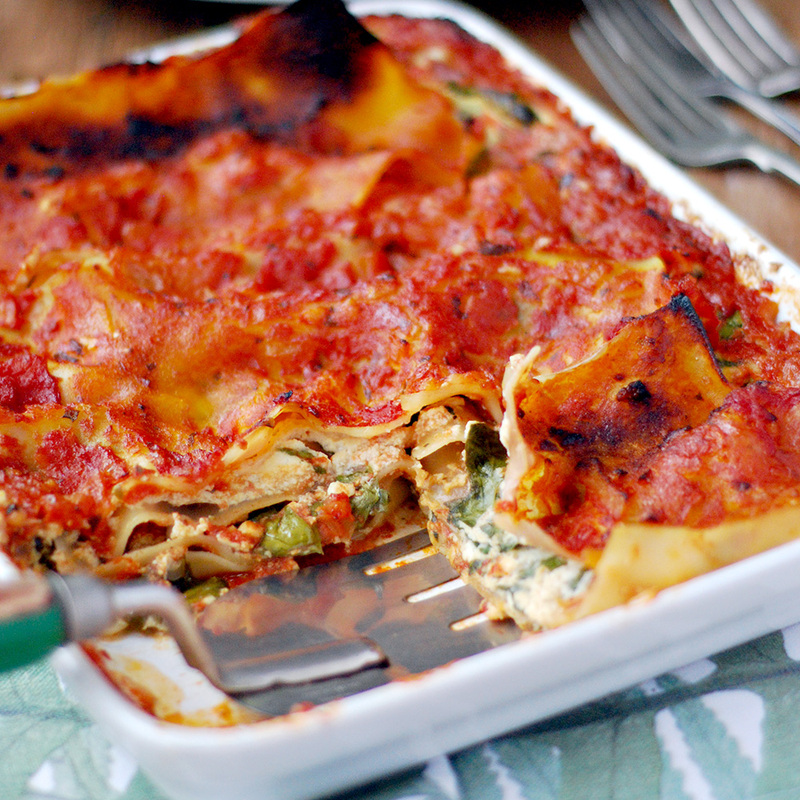 This lasagne is insanely delicious. It’s quick and easy to prepare. There is no need to cook the lasagne sheets before you take it to the oven and the tofu mixture taste just like ricotta, hence the name. Give it a go, I can guarantee you will love it! Fry the onions and 2 cloves of garlic on the vegetable oil until tender. Add the tomato sauce, sugar, mustard, a splash of water and bring it to boil. In a food processor beat the tofu, almond milk, olive oil, 1 cloves of garlic, lemon juice and salt for a few seconds, just enough to incorporate the ingredients together. Add the spinach leafs to the tofu “ricotta” mixture. Spoon a bit of the tomato sauce on the bottom of the baking dish and place pasta sheets on top, then spread half of the ricotta/spinach mixture evenly using a spatula and pour over more tomato sauce. Repeat the process until final layer of pasta and tomato sauce. Bake it on a pre-heated oven at 180c for 45 minutes. What type of tofu? Thank you! Sounds delicious! Delicious lasagna. I must admit that I cheated and used my favorite jarred sauce as I didn’t have time to make fresh sauce the afternoon I was making this lasagna. Also used no-boil noodles. Really delicious and incredible as leftovers.